While I think I will always prefer the feel of a paper and ink book in my hands, I've been fascinated by ebooks for a long time. I finally decided that I had to try them out. It comes in a plethora of formats (I'm trying to figure out who on earth would be interested in the plain text version), including Kindle, Epub, PDF and online reading. Basically, if you have a reader or a computer, you should be able to access it. Very nice!A hope it will be a success! 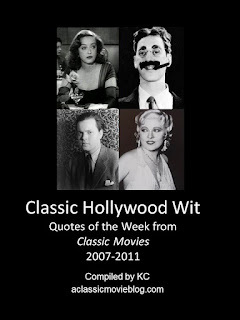 I downloaded your book -- I've always loved the classic quotes portion of your blog. Along with all the other parts! Thanks cinemarion and Monkey! I hope you enjoy the book.